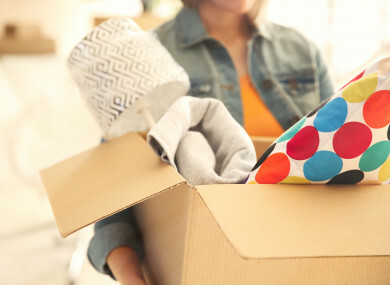 Open thread: What did you REALLY need to bring with you to college? And what do you really wish you had remembered to pack? TODAY WAS LEAVING Cert results day. For many secondary graduates, that has set them on the path of looking ahead to the release of CAO points on Monday. It may feel like everything from this point on is a series of big and small decisions. Do I accept or reject my offer? Where do I start with accommodation? What do I need to prepare in advance of heading off to college? We’ll be tackling some of those questions next week but for now, we would like to hear from our experienced readers who have already been down this road. Let’s focus on your first home away from home at the start of college (if you have to move away at all). Did you really appreciate those brand-new sheets your mam stuck in a box for you? Is a desk lamp really a necessity? What’s the most basic technology you can get away with, ie, afford? What item are you so glad you packed in your rucksack? What is the most valuable thing your parent insisted you take with you, even if you didn’t know it at the time? And was there anything that was completely useless and you wished you hadn’t bothered spending money on? Please share your advice in the comments below and if you have images to share, feel free to email to tips@thejournal.ie, marking the subject line ‘College tips’. Email “Open thread: What did you REALLY need to bring with you to college? ”. Feedback on “Open thread: What did you REALLY need to bring with you to college? ”.